AIG M.D. Abubakar: Can this man be trusted with national security? 4.4 Of all the individuals, groups and organizations who were mentioned in the various memoranda as having played one role or the other with regard to the crisis, none received more scathing comments than Alhaji M.D. Abubakar, the Plateau State Commissioner of Police at the time of the crisis. He served in that capacity from 16/7/2000 to 16/11/2001. His name was mentioned in not less that fifty percent of the memoranda submitted to the Commission with varying degrees of condemnation of his role before and during the crisis. Such memoranda include Exhibits L, 16, 48, 52, 257, 470, 507, 521 and 524 among many others. The oral evidence of witnesses before the Commission is equally replete with allegations that Alhaji M.D. Abubakar was responsible in one way or the other for causing the crisis or failing to curtail its severity or extent. The only dissenting voice is that of Assistant Commissioner of Police, Dominic Yadubiya, the Area Commander who signed and presented Exhibit 79, the Memorandum of the office of the Commissioner of Police, Plateau State Command. While not condemning Alhaji M.D. Abubakar, Yadubiya did not praise him either. 4.5 The criticism of Alhaji M.D. Abubakar’s role in the crisis stems from the fact that apart from being a member of the State Security Council, he was at the helm of the Plateau State Police Command whose admitted primary and constitutional role is to provide security of life and property to the people of the State. He was accused variously of neglecting or even undermining this role with serious consequences for the government and the people. 4.6 There is abundance of evidence that before the crisis erupted on 7th September, 2001 there was palpable tension in the air arising mainly from the controversial appointment of Alhaji Mukhtar Usman Mohammed as the NAPEP Co-ordinator for Jos North Local Government Council. There were threats of violence expressed in the various correspondences written to the Government some of which were copied to him, the Commissioner of Police e. g Exhibit B, 70 and 71 among others. There were also the flyers containing threats to the life of Mukhtar pasted all around his office by unknown persons and the flyers being circulated in Jos allegedly written by the Hausa Fulani under 25 indicating that there would be violence if Mukhtar was not allowed to remain in office as NAPEP Co-ordinator. When Alhaji Abubakar testified before the Commission, he admitted knowledge of all these and agreed that he knew that some kind of violence was in the offing. G.S. Pwul: “With such leaflets, did you sense that an unusual development was about to occur? Did the leaflets signal thatan unusal development was about to happen? 4.8 Alhaji Abubakar also admitted that he was aware that tyres were burnt in front of the Jos North Local Government Secretariat and also in front of the Gbong Gwom Palace which he agreed was unlawful. 4.9 The major accusation against Alhaji Abubakar on this score is that with knowledge of all these events, he never caused the matter to be investigated so that those found to be behind these obvious threats to peace could be apprehended. But in his defence he said that he could not have anyone arrested because he did not know whom they were as none of the leaflets was signed by anybody. He said that he instructed that a detachment of police be deployed to Jos North Local Government and detectives sent to look for information relating to the crisis that was brewing as a result of Mukhtar’s appointment. He also said that he brought the issue up at the State Security Council meeting where it was agreed that the Government should look into the matter by calling all the interested parties with a view to finding out what was on ground in order to solve the problem. 4.10 Very significantly too, CW 41, Emmanuel Jok Bettah testified in line with his memorandum. Exhibit 52, that meetings were held by Muslims at Laranto Motor Park, Angwan Rogo and Gangare where the opposition to the appointment of Mukhtar was discussed and it was decided to set Jos ablaze on Friday 31st August, 2001 and that no `arne’ (infidel) would escape. He said he personally attended the meeting at Laranto Motor Park in disguise on 25th August, 2001. Among the decisions taken according to CW41, was the arrangement to stockpile arms, guns and knives in the Central Mosque and the houses of certain individuals. According to CW41, the Chairman Jos North Local Government Council, Dr. Frank Tardy, the heads of Churches and Muslims who did not support the plan were to be the prime targets. He said he wrote a letter to the Commissioner of Police which he personally delivered informing him of what he had seen and heard. A copy of his letter was admitted in evidence as Exhibit 53. He said he did not receive any reply to Exhibit 53 and added that the attack did not take place on 31st August, 2001 as planned because it rained on that day but that it happened on 7th September, 2001. Neither in his memorandum Exhibit 79, nor in his oral testimony did Alhaji Abubakar make any allusion to this vital evidence. It therefore stands uncontroverted and against him. order that might occur in the State. 4.12 The press conference ended with a call on the “security operatives” to arrest and be made to face the law all the “agents of destabilization and their sponsors”. of bias and even complicity. It was suggested before us that being himself a Muslim, Alhaji Abubakar took sides with the Muslims and that using his position, he did certain things to aid the Muslims against the Christians in a crisis that had long been planned by the Muslims. 4.16 There is also Exhibit 472 which is a Radio Message dated 7th September 2001 from Alhaji Abubakar, former Commissioner of Police to the Divisional Police Officers of Angware, Bassa and Riyom withdrawing the ALGON vehicles allocated to them to the State Headquarters. No explanation was given as to why this was done. 4.17 Several memoranda and several witnesses also accused Alhaji Abubakar of providing adequate security for mosques, especially the Central Mosque, Jos by posting policemen to be on guard while no Church was guarded or protected by the police, suggesting that he took sides with the Muslims against the Christians. In answer to this charge, Alhaji Abubakar said that during the crisis, the Area Commander was instructed that all mosques and churches be guarded by policemen. 4.18 Exhibit 79 is the memorandum submitted by the Office of the Commissioner of Police. In the substance, it corroborates the evidence of Alhaji Abubakar, affirming that in the face of mounting tension in Jos North Local Government Council Area, he alerted the Plateau State Government about the situation and advised that a meeting of the State Security Council be held with all interest groups.When the meeting was held, he, Alhaji Abubakar, was not invited. Generally, in Exhibit 79 and in his oral testimony, Alhaji Abubakar denied the allegations made against him and explained the steps taken by him to contain the crisis between the 7th and 12th of September, 2001. These included the deployment of conventional and Police Mobile Force men to the areas of conflict, the request for more menand arms from the Inspector General of Police and the request for the assistance of the Military for a joint operation with the Police. 4.19 There can be no doubt that the former Commissioner of Police, Alhaji M. D. Abubakar knew that something unusual involving violence was about to happen. That much was admitted by him and that was why he called for a meeting of the State Security Council. The hostile and war-like leaflets that were threatening bloodshed circulating all over the city of Jos, the forceful prevention of Mukhtar from occupying his office, the burning of tyres at the Jos North Local Government Secretariat and the Press Conference by the Plateau State Youth Council calling on the security agencies to arrest the agents of destabilization in our view, provided sufficient materials to make him take such measures as would nip the crisis in the bud or at least ensure that if it eventually erupted as it did, it could be effectively tackled and put down before much damage could be done. And if he was still unsure of what to do, C.W.41 had written to him, Exhibit 53, explaining how meetings were held by some Muslim groups where plans were made to attack some people and churches with arms that were to be distributed from certain locations. In the face of all these warning signals, we are, to say the least, very surprised that apart from calling for a meeting of the State Security Council to discuss the issue and his general statement that he deployed policemen to the Jos North Local Government Secretariat and detectives to look for information, he did nothing to avert the crisis. No serious investigation was carried out to fish out the belligerent groups and find out the extent of their plans, if any, and no arrests were made in spite of the fact that some of the dangerous leaflets were allegedly written by the “Hausa Fulani under 25”, a group which could, with some diligence be identified. His reason for not investigating or making any arrests was that no names were written on the leaflets and that the people behind them could not therefore be identified. Police have investigated such matters in the past. These events are so glaring and dramatic that we find it extremely difficult to excuse or justify Alhaji Abubakar’s handling of the situation. A diligent Commissioner of Police would not only have thoroughly investigated the matter before it happened, but would ensure that if the matter degenerated into the kind of bloodbath that eventually took place, his men were ready to contain it. He should have put them on red alert, but he never did. With his knowledge of the very volatile situation on ground, he ought to have made contingency arrangements with higher police authorities such that if widespread violence broke out he could receive immediate assistance by the deployment of more men and arms before the situation could get out of hand. 4.20 The evidence before the Commission is that because of the serious constraints under which the police operate throughout the country, when the crisis broke out on 7th September, 2001, the police were outnumbered and outgunned by the rioters and consequently, the police could not handle the situation, as confirmed by CW52, ACP Dominic Yadubiya. Alhaji Abubakar did request for reinforcements during the crisis and these came from Benue, Kaduna and Gombe Commands but it was too late. The damage had already been done. Had he placed his men on the alert and requested for rapid deployment from other commands in case of a breakdown of law and order, the police would have been more successful in managing the crisis and many lives and properties that were lost or destroyed could have been saved. The evidence before the Commission shows that it was the presence of the Military that brought the situation under control. The inability of the police to handle the situation resulted largely from the poor handling of the crisis by the former Commissioner of Police, Alhaji M.D. Abubakar at whose doorstep the blame must be laid. We are strengthened in this view by the evidence of CW330, the Secretary to the Plateau State Government. CW330 told the Commission that the Government was misled by the security reports given to it by the Police Command headed by its Commissioner, Alhaji M.D. Abubakar. The reports gave the Government the false impression that all was well and there was no cause for alarm. It was on the strength of these reports that the government assured the people that the situation was under control. The Secretary to the State Government in his testimony informed the Commission that it was known that an attack or demonstration was planned to take place on 31st August, 2001 and that there was an unusual movement of people contrary to the a ssurances given by the Commissioner of Police that the situation was undercontrol. Even when the crisis broke out in Congo-Russia, the Commissioner of Police continued to assure government that the situation was under control until it became clear to everybody that it was not, and the President had to be contacted to allow the Military to intervene. 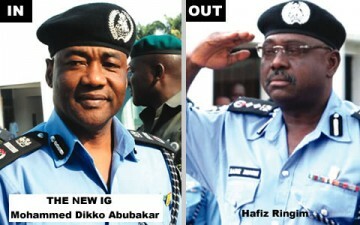 CW330 described the former Commissioner of Police, Alhaji Abubakar as “totally unreliable”. In fact even when Government informed him of the influx of visitors into Jos especially in Zangon Baki and Mista Ali areas and expressed its concern over it, Alhaji Abubakar did nothing. If Alhaji M.D. Abubakar had performed his duties well he would not have given the government that false sense of security that turned out to be fatal. In the light of this, the conclusion is inescapable that the former Commissioner of Police is guilty of, at best, gross negligence and at worst, sheer incompetence. This is on the passive side that is, on what he failed or omitted to do. 4.21 On the active side, it was alleged that the crisis occurred as a result of a premeditated and well planned attack on the Christian community by some Muslim groups with the active connivance of Alhaji M.D. Abubakar, he being a Muslim. In support of this allegation, evidence was given of Alhaji Abubakar’s conduct in three areas, namely, the transfer of some Divisional Police Officers shortly before the crisis, his withdrawal of the ALGON vehicles on the day the crisis erupted i.e. 7th September, 2001 and the imbalance in the provision of police security to places of worship during the crisis. 4.22 Let us now examine each of these in turn. (i) The transfer of some Divisional Police Officers: Appendix 12 to Exhibit 75 is a letter dated 29th August, 2001, by which the former Commissioner of Police, Alhaji M.D. Abubakar, ordered the immediate transfer of thirty one Divisional Police Officers mainly within Jos and its environs from one Division to another. While most of the transfers were within the Jos area, some of them involved officers in places as far away as Riyom, Barkin Ladi, Pankshin, Kanke, and Wase. The evidence was that Alhaji Abubakar had foreknowledge of the crisis and that the transfers were made at such a critical time with the aim of disabling the officers from being effective in handling the crisis when it came. He denied the evidence and said that the posting of police officers is the prerogative of the Commissioner of Police. He said, and as indicated above, the transfers were made in preparation for the retirement of the Divisional Police Officers of Barkin Ladi, Nassarawa Gwong and Bukuru. He had to make the transfers so that these Divisions could be manned by capable hands. He called the exercise “routine changes” but admitted that with the situation where crisis was brewing it was not a responsible act to make such changes. He however said that it was not done with any bad intention. 4.24 Assuming the officers got the notice of transfer the same day, i.e. 29th August 2001, they had less than five days within which to complete their movements and take over the new Divisions. The reason for this extreme urgency was not explained before us and we think the postings are far from being the innocent “route changes” he branded them to be, especially in the light of his admission under cross-examination that it takes time for a person to study the files he will take over in the new Station. Our view is that while Alhaji Abubakar’s postings of 29th August 2100, may not by themselves prove conclusively that he took sides with the Muslims against the Christians, taken together with the other two factors, they provide strong circumstantial evidence of his partisanship. 4.25 This is more so when one considers the evidence of CW330 that the State Security Council was informed by intelligence reports that the Muslims were planning a march in Jos on 7th September, 2001. Alhaji Abubakar did not take us to the bottom of this issue of sudden transfer. It is a matter of common knowledge that all Local Government Council in the Country were provided with one vehicle each, (Toyota Jeep) to assist the police in its fight against crime. These vehicles are popularly referred to as ALGON vehicles. There is evidence that on 5th September, 2001, two days before the crisis erupted in Jos, the ALGON vehicles allocated to Angware, Bassa and Riyom Divisions were withdrawn through a wireless message, Exhibit 472, sent to these Divisions from the office of the Commissioner of Police for what is simply described as “special duty”. The vehicles were ordered to be released to the State Headquarters on Friday, 7th September, 2001, the day the civil disturbances erupted. Again there is no conclusive proof that it w5as done to facilitate the crisis. However, these areas are within the environs of Jos and no reason was given for their withdrawal. While we cannot speculate as to why they were withdrawn, we must say that the timing of the withdrawals was curious and they would definitely have the effect of crippling the operations of those Divisions in time of crisis. In the absence of any explanation coming from the Commissioner of Police, the Commission cannot say that the withdrawals for “special duty” which was unspecified were done in good faith or with a proper motive. We are more inclined to believe that the vehicles were withdrawn to satisfy the commissioner’s hidden agenda. 4.27 The unbalanced protection given to places of Worship: One of the most serious allegations against Alhaji M.D. Abubakar is that he took sides in the provision of protection to places of worship in a battle which he knew was fought along religious lines. It was very strongly alleged that during the crisis he gave police protection to the mosques in Jos, especially the Central Mosque, while he deliberately left the churches to the mercy of the rioters. This point is made in so many memoranda that it is impossible for the Commission to ignore it. While it will be tedious for us to reproduce all that was said before us on this very weighty matter, some examples taken from a few of the memoranda will suffice. “Curiously, the Police prior to the Friday prayers heavily guarded the Central Mosque in Jos, while no security was provided for the churches in Jos. Paradoxically, the mosques were not under any form of threat on Friday 7, September, given that attack was launched on unsuspecting Christians. Yet many churches within a range of 200 to 500 metres from the Central mosque in Jos were burnt either fully or partially on the afternoon of that Friday. 4.32 Both Alhaji Abubakar and CW52 denied this allegation and it was strongly denied in their memorandum, Exhibit 79. The evidence of Alhaji Abubakar and CW52 is that CW52 was instructed by Alhaji Abubakar and that he in turn instructed the various Divisional Police officers to provide police protection to all places of worship, both churches and mosques, within their respective areas. There is evidence before the Commission that Alhaji Abubakar’s normal places of worship on Fridays was the Mosque attached to the prisons near his office. 4.33 However, on this particular day, 7th September 2001 he worshipped at the Central Mosque. Alhaji Abubakar testified that he worshipped at the Central Mosque on 7th September, 2001 at the request of one of his friends who persuaded him that both of them should worship at the Central Mosque and not at the Prison Mosque. 4.34 He said he took five policemen to the Central Mosque as his escorts but did not notice the presence of other policemen there during or after the prayers. From this story, certain pertinent questions come to mind. 4.35(i) Since he never prays outside the mosque, what was so special about the Central Mosque on that day that made him yield to his friend’s prompting to drive all the way to the Central Mosque at the risk of arriving late and praying outside when he could have conveniently prayed inside the prison mosque which is just across the road from his office? Could it be because he wanted to police the situation at the Central Mosque, knowing what was about to happen? 4.36(ii) Having instructed that Mosques be guarded on Fridays and churches on Sundays as stated by him, why did he not take advantage of his presence at the Central Mosque to find out if his instruction was being implemented? Could this apparent lack of interest be because he knew what was about to happen, having made adequate arrangements for the protection of the Central Mosque? His behaviour in this regard is, to say the least, strange, if not abnormal. 4.37 From the evidence before the Commission, there can be little doubt that the Jos Central Mosque was well guarded on the day of the crisis. The only question is whether this protection was extended to the churches as well and if not, whether the omission was deliberate. Alhaji Abubakar and CW52 both admitted that churches which were in the vicinity of the Central Mosque, namely, COCIN Sarkin Mangu and Assemblies of God Church were burnt on 7th September 2001 while the Central Mosque was neither burnt nor damaged. Many houses and shops at Enugu Road very near or opposite the Central Mosque were also either set on fire or damaged. All these were viewed by the Commission during its visit to the locus in quo. C.W.52 and Alhaji Abubakar admitted that these churches were burnt down while the Central Mosque was left intact. They could not say why it was possible to burn all these structures while the Central Mosque remained untouched especially when it is known that some other mosques around the city were also burnt. It is obvious to the Commission that the Central Mosque was not burnt like the churches, shops and houses around it because it was heavily guarded by the police. Alhaji Abubakar said also that Fatima church was guarded by the police but he could not explain the burning of the church and its pastorium in spite of the protection allegedly provided by the police. Interim Report, to the Commissioner of Police, Exhibit 80B, in which he recommended that the suspect be released on bail because he appeared not to have committed any offence. Alhaji Abubakar told the Commission that he refused to approve the Report and issued a query to the officer, Exhibit 354, for taking Alhaji Dahiru Sule to Court on a First Information Report alleging inciting disturbance only while others arrested in connection with the disturbances were charged with the more serious offences of conspiracy, rioting, mischief by fire and unlawful possession of firearms. Similarly, Alhaji Abubakar also queried one ASP Patricia Osaje for visiting the Magistrate’s Court where Dahiru Sule’s case was mentioned when she had no part to play in the investigation of the case. 4.38 When however, he was asked in cross examination whether he queried any of the policemen who stood guarding the Central Mosque and watching while churches, shops and houses were being set ablaze he admitted that he did not. When further questioned on why he did not query the policemen for this more serious dereliction of duty he said at first that he could not do so because he left Plateau State immediately after the crisis. But when he was reminded that his transfer only came on 16th November, 2001, two months after the crisis, he said that he was too busy attending to other matters in his effort to restore peace and had no time to issue queries. How strange! instructions to guard only the Central Mosque. If that was not their instruction, they ought to have been queried because their conduct was more deserving of disciplinary measures than that of CSP Momoh and ASP Patricia Osaje. inference from this and the other facts considered in (i) and (ii) above is that Alhaji Abubakar did play an active role in the escalation of the crisis, pitching his tent, as it were, in the camp of the muslims. 4.41 The Commission’s conclusion from proved facts therefore is that Alhaji M.D. Abubakar, former Commissioner of Police, Plateau State is one of the persons who, by acts of commission and omission, contributed to the crisis and must be held responsible as such. For a man of his position into whose hands the safety of lives and properties of Nigerian citizens was entrusted to have displayed such unethical conduct in the performance of his duties is most unfortunate. Because much was given to him, much was also expected of him but in the Commission’s view, he did not justify the trust reposed in him. 4.42 A Commissioner of Police of a State must bury his religious bias, leanings and inclinations qua superior police officer when he is performing his official duties of policing the state. He must, on no account, show to the public that he is either a Christian or a Muslim. In a country like Nigeria where religious belief is played to the gallery with all sentiment, thus affecting the sociological orientation of the people, the police must be seen as non-partisan in the regime of religion at all times and for all times. Unfortunately for Alhaji M. D. Abubakar, this was not the situation. He clearly showed his bias for the religion of Islam and his hatred for the religion of Christianity and this bias blinded his eyes, thoughts and orientation in the crisis of September, 2001 which resulted in the numerous killings. 4.43 In the light of the above, the Commission is of the view that Alhaji M. D. Abubakar be advised to retire from the Nigeria Police Force. In the event of his refusal to take the advice, Alhaji M.D. Abubakar should be dismissed from the service. The matter should be referred to the Police Service Commission for the appropriate disciplinary action as recommended above.